With locations in Chesapeake and Yorktown, Colonial CPA Group provides tax, assurance and consulting services to individuals and businesses along the east coast. These services are provided with unparallel ethics and reliability to enhance the integrity of our services as well as the confidence of our clients. Our mission is to provide outstanding quality and accurate tax, assurance and consulting services to our clientele. We achieve this mission through combining our experience, expertise, resources and capabilities. We ensure that our staff is continuously updated through annual continuing education, focusing on those services offered to our clientele, and remain on the leading edge of accounting technology advancements. Today, we serve clients of all sizes, across many different industries including not-for-profits, healthcare organizations, real estate, construction, retail, service companies, and homeowner associations. Colonial CPA Group began initially in 2007 as TL Johnson CPAs. In 2014, the name change to TL Johnson & Associates, LLC based on the change in ownership to Ryan and Courtney. In 2016, TL Johnson & Associates acquired a Yorktown, VA firm, and brought Courtney on full time, and now operate as Colonial CPA Group. 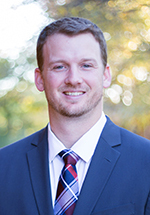 Ryan Johnson, CPA is a graduate of Old Dominion University in Norfolk, Virginia. He has over ten years experience in public accounting. Ryan has been with TL Johnson CPA since the company was established in 2006. In 2014, Ryan became the managing partner. He specializes in tax consulting, corporate tax strategies, and financial statement preparation. Ryan is a member of the American Institute of Certified Public Accountants. Ryan resides in Carrollton, Virginia with his wife, Courtney and their daughter. Courtney Johnson, CPA is a graduate of Old Dominion University in Norfolk, Virginia. She has over ten years experience in public and private accounting. Courtney worked for a large regional public accounting firm in Norfolk, Virginia for four years prior to entering private accounting as a manager of a Fortune 500's internal audit team. Courtney specializes in assurance services (reviews and audits) and assessment of internal controls and tax preparation. Courtney is a member of the Virginial Society of CPAs. 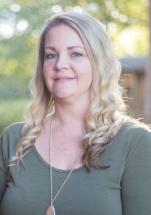 Courtney resides in Carrollton, Virginia with her husband, Ryan and their daughter. Lauren joined TL Johnson & Associates as a bookkeeper in 2012. 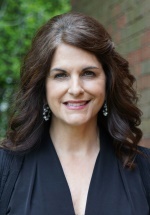 She earned a Bachelors of Science degree from the College of William and Mary. She has been in bookkeeping for over ten years, five of which have been in public accounting. Lauren provides payroll, bookkeeping services and corporate/partnership tax return preparation for a variety of small businesses from our Chesapeake office. Lauren is currently taking classes to obtain her Masters of Accounting and to eventually sit for the CPA exam. Lauren enjoys watching her two children play baseball and do gymnastics. 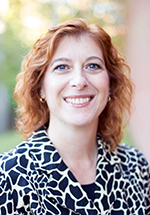 Robin is one of our associates in Yorktown with over 28 years of accounting experience. She worked for Marva Maid Dairy in Newport News for 20 years in Accounts Receivable and then in Accounts Payable as a Supervisor. Robin then worked for a large electric company in Yorktown for three years, before coming to Colonial in 2011. She specializes in small business accounting and preparing payroll. She has been married for 20 years, has two daughters and enjoys singing. Robin is also a Notary Public. 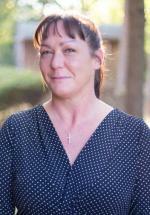 Reneé recently joined the Colonial CPA Group family in Chesapeake. She’s delighted to be an Associate for the firm and brings with her over 15 years of experience in public and private accounting. Throughout her career she’s developed a diverse skill set and has worked in all aspects of accounting including accounts payable, accounts receivable, payroll, reconciliations, job cost, general ledger, financial reporting, and income tax preparation. Outside of the office, Renee enjoys working on her many stained-glass projects, snuggling with her baby Diesel, and spending time with her husband Robbie. 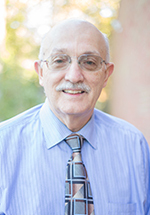 Wayne was a part of the acquired Yorktown firm.Wayne has worked in public accounting for over 40 years. He specializes in individual income tax preparation. He has been married for 48 years and enjoys golfing and traveling. 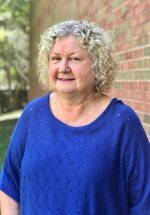 Bonnie is excited to be a part of the Yorktown office, sharing over 20 years of experience in bookkeeping, payroll and tax preparation. She has worked with a wide range of clients over the years; from beauty salons and dance studios to contractors and real estate agents. She especially enjoys helping clients catch up on prior year returns. Bonnie calls Pennsylvania home, but has lived in the Hampton Roads area since 1978. She has two grown children and one granddaughter. She enjoys classic rock, scrapbooking, bunco, volunteering with her Exchange Club, Sunday family dinner, and entertaining family and friends. 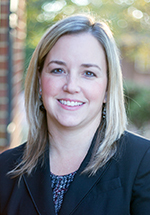 Melissa has been with the firm since 2014 in our Chesapeake office. She assists with electronic filing of tax returns and in general office duties. Melissa has started providing bookkeeping services to various companies including payroll and enjoys spending time with her family and traveling. 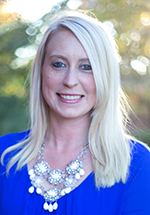 Kristine has been a member of Colonial CPA’s Yorktown team for over 3 years. She is responsible for processing and e filing tax returns along with general office responsibilities. She holds a bachelor’s of science from the Fashion Institute of Technology – SUNY, and when not working enjoys volunteering, traveling and spending time with family.